Opis: The two stars at the center of this nebula are very different. One is a white dwarf star with a mass similar to our Sun but with a radius as small as our Earth. The other star is a red giant, a star also with mass near our Sun but with a radius so large it could fill the orbit of the Earth. 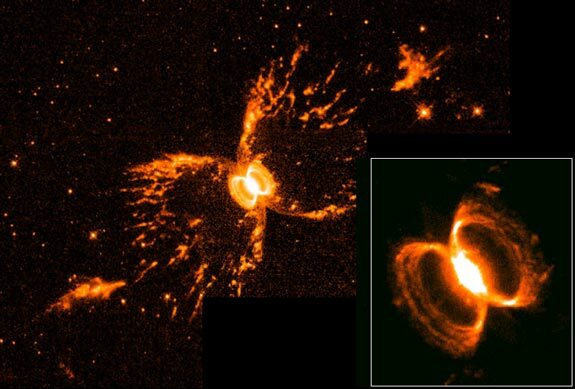 The strange symbiotic relationship between these two stars in the He2-104 system has created a planetary nebula shaped like an hourglass within an hourglass. The red giant star turns out to be a Mira variable, a pulsating star that is dumping mass into an accretion disk surrounding the white dwarf. Astronomers speculate that when enough mass falls onto the white dwarf, a thermonuclear explosion occurs creating another expanding hourglass-shaped nebula. 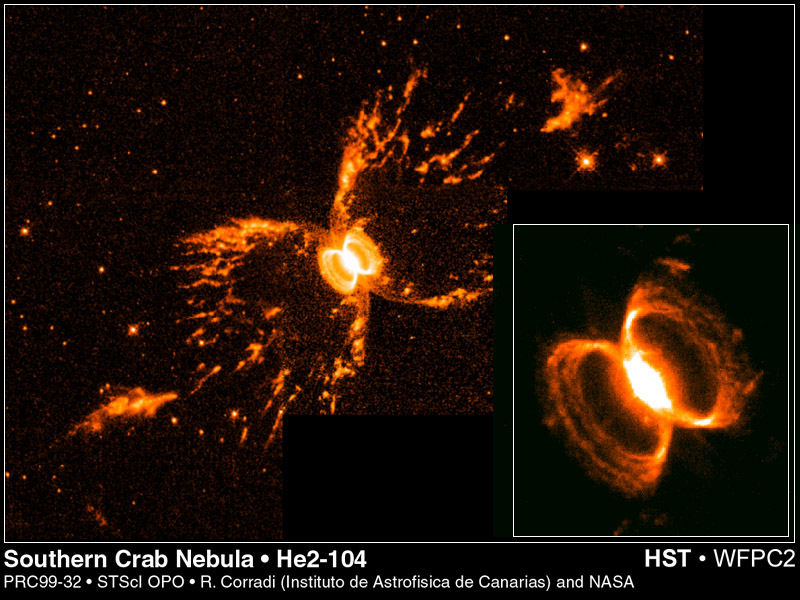 The above photograph was taken with the WFPC2 instrument onboard the Hubble Space Telescope. The hourglasses from the two most recent explosions are visible with the last one highlighted in the inset.